After months of pulling on seemingly endless layers before heading out the door, the arrival of a new year with fresh running goals to target can provide the perfect motivation to keep training through until spring. Even more so when those goals include an event in warmer climes! But which to choose? With so many options it can be difficult to know which event to go for, plus there’s the trip organisation which can eat into precious training time. With that in mind, we travelled to Cyprus to learn more about the OPAP Limassol Marathon GSO weekend, which this year takes place on March 18-19. As well as warmer weather, a flat course, stunning sea views and a range of races, we were keen to hear more about the selection of packages on offer in 2017, with accommodation, race day support and discounted race entry fees included. The packages can be booked for any length of stay and are designed to provide a hassle-free and high-quality race experience for runners and their families. Less stress and more time to think about running? Sounds good! Limassol is situated on the southern coast of Cyprus and is the island’s largest seaside resort, with Larnaca to the east, Paphos to the west and the Troodos Mountains as a magnificent backdrop. With its spectacular coastal scenery, recently-developed marina, shopping streets and nightlife, plus plenty of history and culture, it’s a popular tourist destination and one which now also attracts thousands of runners each year. 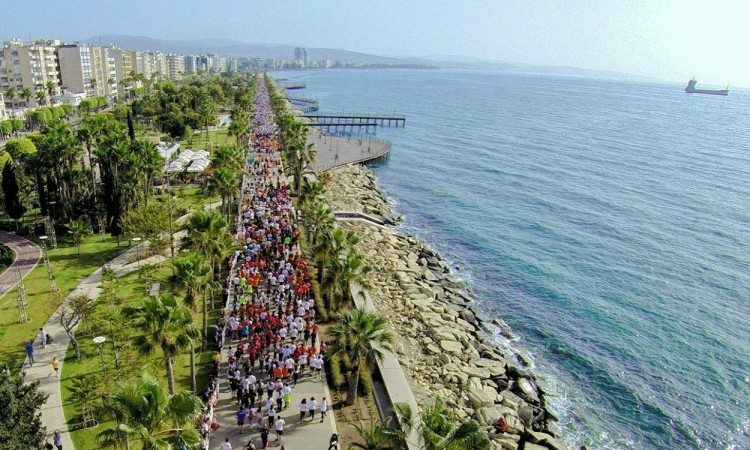 As the Limassol Marathon has grown, so too has the city’s running scene, with the number of running clubs in the city having increased from none at all to seven since the first event in 2006. 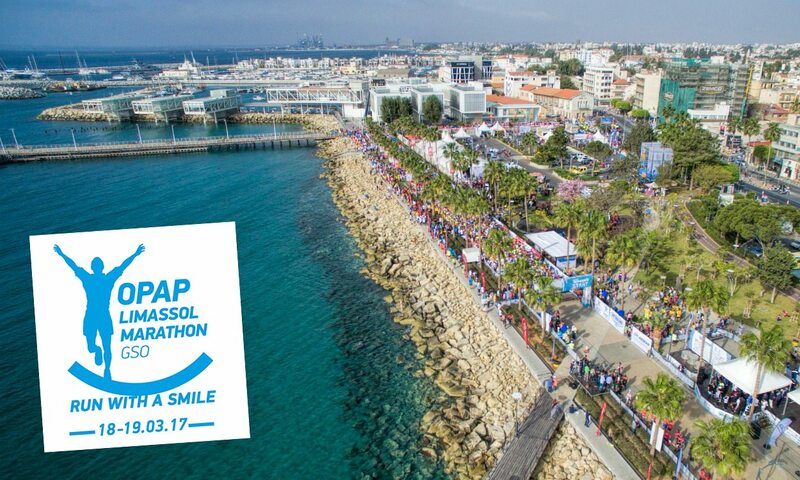 From just 70 participants in 2006, for its 11th edition the OPAP Limassol Marathon GSO weekend is getting ready to welcome over 13,000 runners this March for a race programme which has expanded over the years to now include a marathon, half-marathon, 10K Energy Race, 5K City Race, 5K Corporate Team Race and 1K Kids Race. The 2017 edition will be the first time that the event spans two days, with the corporate and 1K events on Saturday March 18 and the rest of the programme on the following day. The marathon starts and finishes in the Molos area of Limassol, with the flat course, which is accredited by the Association of International Marathons and Distance Races (AIMS), stretching for 21km along Cyprus’ Mediterranean coastline. The route takes runners past the new port before heading east along the coast towards ancient Amathus and then looping back. While the varied programme means the Limassol Marathon weekend caters for a range of runners, there is an additional incentive for faster athletes. The prize pot has been increased for both the marathon and half-marathon, while the marathon winners’ prizes will be doubled to €4,000 if the course records of 2:13:29 for men and 2:38:56 for women are broken. Not sure where to start when it comes to organising a trip to an overseas race? OPAP Limassol Marathon GSO offers packages for both individual runners and running clubs. 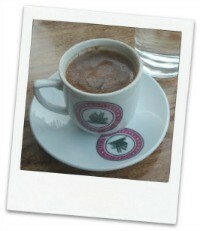 For further information and to check out the packages, visit limassolmarathon.com. 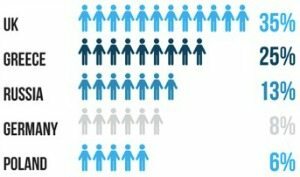 More than 1200 people from 50 different countries took part in OPAP Limassol Marathon GSO events in 2016 and 35% of those were from the UK. If you’re thinking of making the trip, Aegean Airlines is the official airline partner, plus both EasyJet and Ryanair offer direct flights to Paphos or Larnaca and are roughly a 45-minute drive away from Limassol. Accommodation available as part of race weekend packages ranges from 3-star hotels to luxury 5-star hotels, including the Atlantica Miramare Beach and Crowne Plaza, plus there are family-friendly options. See limassolmarathon.com/packages for details. Greek is the main language of Cyprus, with English spoken almost everywhere, and as a former British colony driving is on the left which makes things easier both for transport and for crossing roads when out training! Roads are closed for Limassol Marathon events. 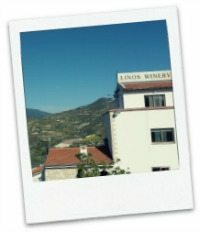 Try wine tasting at a winery such as the family-run Linos winery. Perhaps save this one for after race day!